BHEL Hyderabad Recruitment 2019: Bharat Heavy Electricals Limited going to fill up 27 vacancies in Hyderabad. 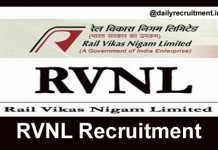 Recently it has released the recruitment advertisement to fill up Engineer & Supervisor posts. As per the BHEL Hyderabad recruitment notification, these 27 vacancies are allocated for above said posts. Applicants who are seeking engineering jobs in central govt can make the BHEL online registration from 24.04.2019. 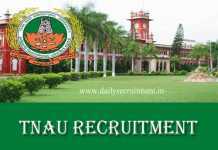 BHEL recruitment notification and apply online link is available in official website. The last date for submission of online application is 14.05.2019. Applicants must have possessed Engineering/ Diploma from recognized university. Candidates upper age limit should be 35 years. Selection will be based on personal interview only. After that selected candidates will be placed at Hyderabad (Telangana). Aspirants can apply to this recruitment through online mode. Contenders have to pay required fee via online payment using Net banking/Debit card/Credit card/Wallet. 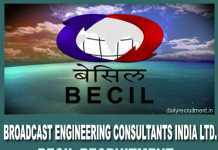 More details of BHEL jobs for Diploma, ITI, merit list, selection list, result, interview questions and etc. will be uploaded on official website. 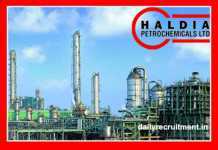 You may visit BHEL careers to get more details about this recruitment. Here you will get information like educational qualification, age limit, application mode, fee and how to apply. Keep check www.dailyrecruitment.in regularly to get latest updates. As per the notification, totally 27 vacancies are allotted for this recruitment. Post wise vacancy details & salary details are given below. Applicants must have possessed Engineering/ Diploma from recognized university. Rs.200 for UR/ OBC/ EWS candidates and no fee for SC/ ST/ PWD candidates. Contenders should make the payment via online. Go to official website bhel.com. Applicants who have fulfilled the above eligibility, those candidates can apply to this job easily. Do not miss the wonderful career opportunity in BHEL. Aspirants kindly watch this page regularly for upcoming changes in BHEL Hyderabad Job 2019. For more accurate information about this BHEL Hyderabad notification, check their official website.